The Domaine de la Jobeline is nestled in the hills of Verze, a small historic village of Maconnais dating back to the 10th century, offering an exceptional terroir. Our estate is located in the heart of Burgundy amongst a typical vineyard landscape of the region and benefits from a cool temperate climate. La Jobeline extends over 11 hectares of land classified as an AOP, and grows Chardonnay, Aligote and Gamay grape varieties producing a large amount of White and Red Burgundy wine. In efforts to optimize the quality of our wine we have undertaken a restructuring and replanting project over the past 12 years. The clay-limestone structure to the soil and sub-soil is favorable to vine cultivation and is often resting on calcareous bedrock. Soil analysis has demonstrated variations from one parcel to the next. Proportions of active limestone, clay, sand and silt provide varied typicity and a unique identity. Situated at an elevation of 250 to 380 meters, our vineyard is mostly located on a well drained and moderately steep hillside. East to South exposure provides cool nights and warm days. The morning sunlight decreases the risk of frost during the winter and spring, and contributes to ripening the grapes in the summer. The valley’s North/South exposure provides a ventilated climate favorable to maturing grapes and the production of elegant and generous wines. We work the land daily to maintain living organisms and the natural occurring ecosystem present in our terroir. We also carefully shape our vines to get the best results. The most recent plantations have been planted on wild land with a promising soil analysis. 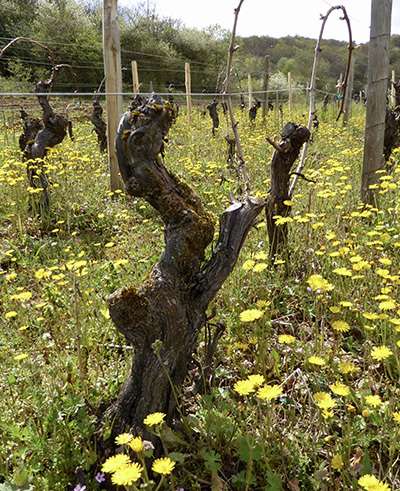 Our vines have an impressive average age of 25 years! The oldest ones were planted in 1957 and are showing wisdom whilst the youngest have the enthusiasm and exuberance of youth and are not yet producing. The restructuring and renewal of our vine stock is part of a well planned and meticulous process. We are currently planting a selection of the best and finest vine plants. 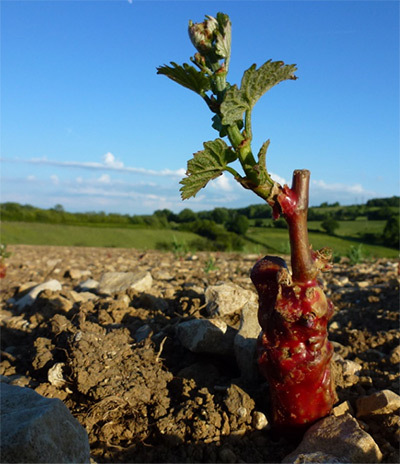 The newest rootstock is planted in accordance to the soil’s physico-chemical analysis results and therefore adapted to the soil’s characteristics. The clones are also chosen depending on land parcel and expected output. We strive for qualitative vines and therefore a low output. Our plantation density is 7000 to 8000 plants per hectare. We enhance the qualitative value of the terroir by limiting the yields and applying rigorous farming practice in accordance with sustainable farming methods: reduction of chemical input into the soil, respect of biological cycles, maintenance of life within the soil, aeration through regular ploughing and the use of natural products and fertilizers. The work performed on the soil is fundamental as it forces the roots to reach deep into the subsoil for nutrients. This is where they draw minerality, aromatic richness and terroir typicity. All family generations have worked the earth, the vine or as barrel makers. 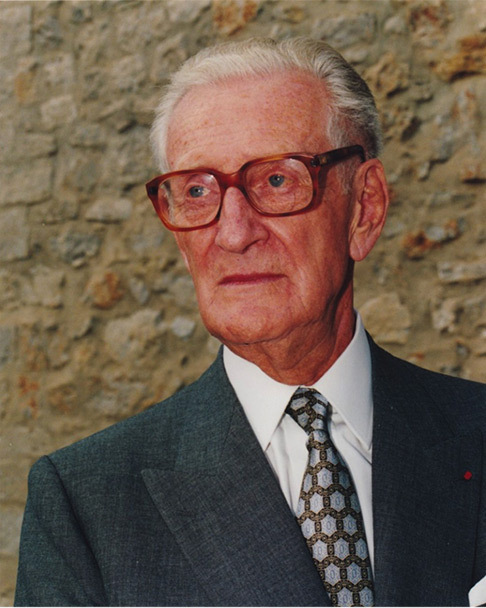 The latest being the likely origins of the family name “Maillet” translated as mallet. 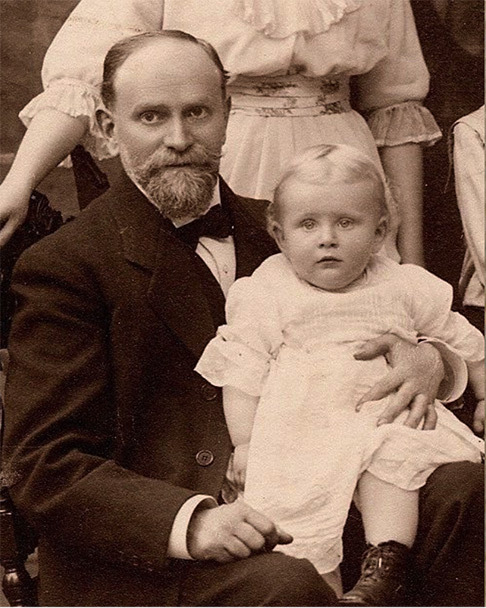 The grandfather, initially became a first class pharmacist in Macon, returned to the land almost 100 years ago. 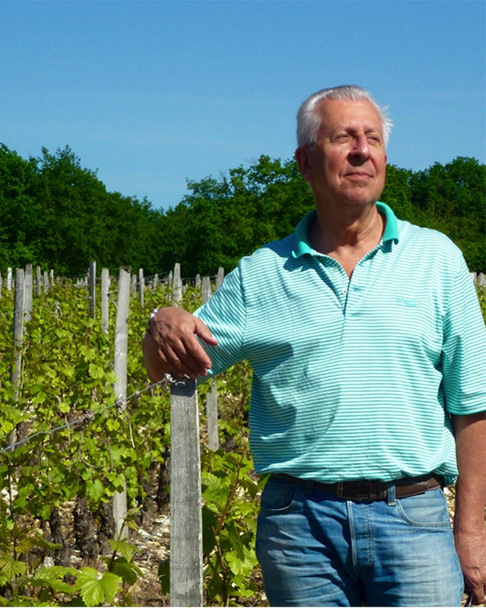 He moved to Verze where he created a winery. By play of successions, Paul inherited part of the estate. He expanded it and transferred it to Pierre in 2014. 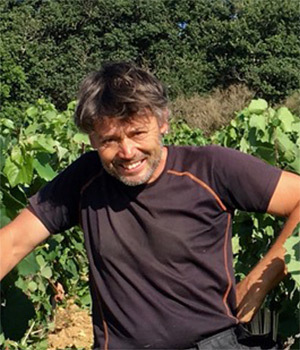 Initially a member of a wine cooperative until 2014, Pierre realized his project and continues the family legacy by creating the Domaine de la Jobeline. 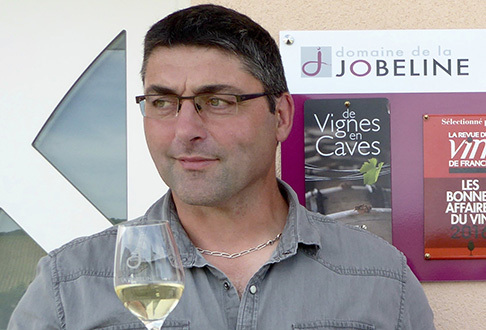 The Domaine de la Jobeline is a human-sized wine estate run by a team of enthusiast. Owner of the estate since 2014, is devoted to management and marketing. 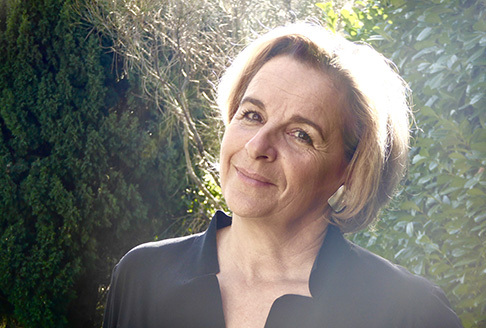 Caroline, son épouse est en charge du développement du domaine. 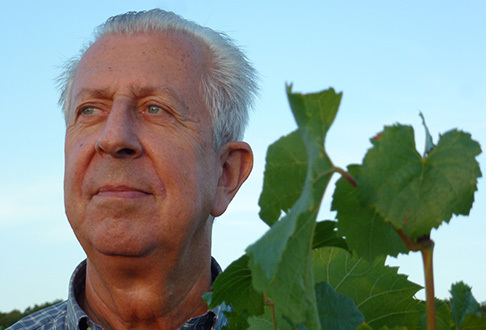 The vineyard manager, has previously worked amongst the most reputable estates of the region. 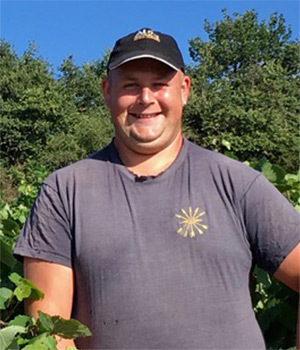 He is in charge of viticulture and the winery, and is pleased to sign excellent wines. He is supported by 2 full time employees and seasonal staff. The estate’s ambition is to work on all aspects of viticulture, from the soil to the bottle. From year to year, La Jobeline is constantly evolving, improving and innovating in all areas for greater finesse and purity. Our ambition is to reveal the magnificent characteristics of our terroir and to produce wines that combine depth, character, and elegance. We hope to provide wine enthusiasts and connoisseurs with beautiful emotions. Cookies aim to make your navigation more efficient and to optimize the operation of our services. By using this site, you consent to the use of these cookies according to our private policy.